MetroMD has delveoped a new protocol for a new hair regrowth products by processing and injecting a patients own blood. Devin Stone, CEO, Says, "This is the quickest and most effective treatment I have seen for natural hair regrowth without transplants"
Hair loss has become a common issue among a large population of people around the world. 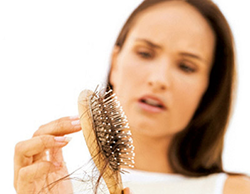 Today even youngsters in their twenties are suffering from hair loss problems and they are on the lookout for a proper solution for this problem. MetroMD institute has developed a new solution where it uses the blood of the patient to help them with re-growth of their hair. This is a non-surgical treatment where they use the blood plasma, platelets and growth factors. It is named platelet rich plasma therapy and it has also been used for treating injuries, wrinkles, skin and severe diseases like arthritis. The biggest advantage with this treatment is that is uses the natural regenerative process of tissues by stimulating them to go through the healing process. In this process the doctors takes a small alloquot of blood from the body and then separates the platelets from other components of the blood. The doctors use the platelets which stimulate the release of important growth factors which helps in faster healing of the injured areas of the body. The whole treatment process take under one hour with no sedation and minimal discomfort. The team at MetroMD have also found this treatment to be useful for re-growing hair of people who have been suffering from baldness. This finally gives the medical community a quick and effective way to stimulate regrowth of their own hair. Instead of going for different kinds of medications, shampoos, vitamins, etc. people can use this process to help them get a faster regenerative process and ultimately stimulate regrowth of hair. This has been well researched and MetroMD has helped a large amount of people improve their balding with PRP hair regrowth treatments. This is a good solution for people who want to get rid of baldness without using any artificial product. The artificial products available in the market can cause damage to the body and there is no guarantee that people will get the results they desire. It is always important to go through a natural process where body’s internal elements are used for the treatment.